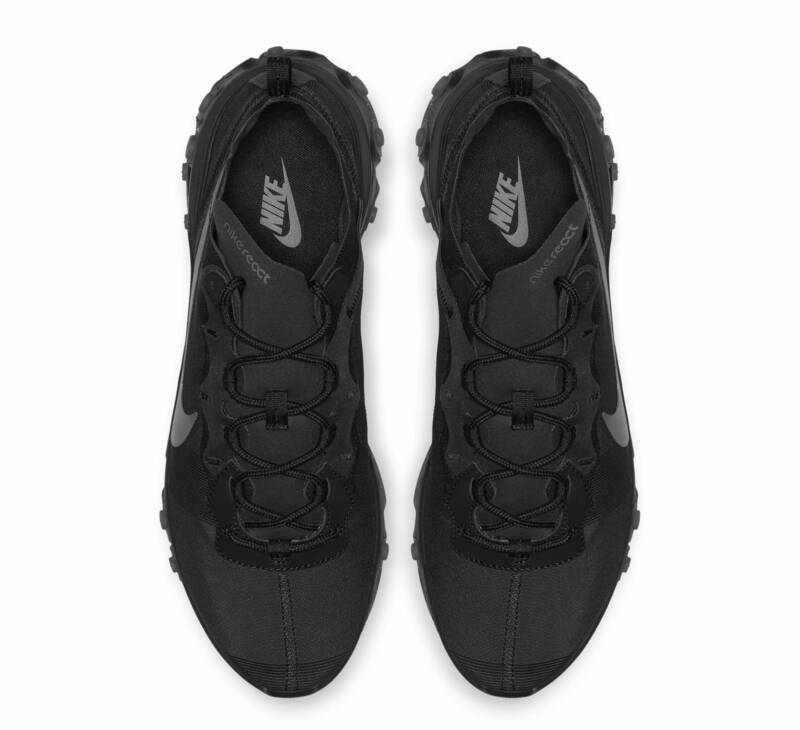 This Nike React Element 55 is arriving in a triple black hue. Following suit from the Nike React Element 87, this silhouette boasts the same design features but with a elasticated nylon upper, as opposed to translucent. The black hue covers the whole sneaker with slightly lighter charcoal accents. 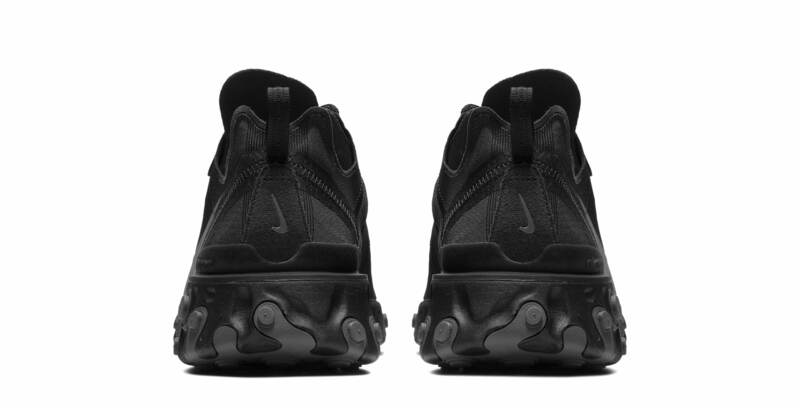 Design features include Nike React branding on the a-symmetrical tongue, waved lace unit design, the well recognisable React Element notches on the midsole, a stamped effect Swoosh and a pull tab on the back of the heel. The thick midsole with futuristic detailing is going to give you ultimate comfort with each step, while the elasticated upper keeps your feet secure. As the first iterations of Nike React Element 55’s arrive, we expect this one will be following shortly after, if not at the same time. Keep it locked to The Sole Womens for all updates on this sneaker as it comes!